Humanitarianism as a moral concept and an organized practice has become a major factor in world society. It channels an enormous amount of resources and serves as an argument for different kinds of interference into the "internal affairs" of countries and regions. At the same time, and for these very reasons, it is an ideal testing ground for successful and unsuccessful cooperation across borders. 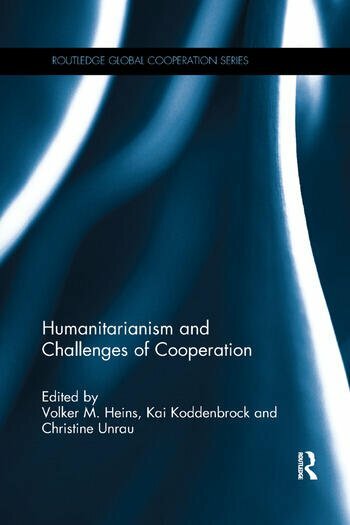 Humanitarianism and the Challenges of Cooperation examines the multiple humanitarianisms of today as a testing ground for new ways of global cooperation. General trends in the contemporary transformation of humanitarianism are studied and individual cases of how humanitarian actors cooperate with others on the ground are investigated. This book offers a highly innovative, empirically informed account of global humanitarianism from the point of view of cooperation research in which internationally renowned contributors analyse broad trends and present case studies based on meticulous fieldwork. This book will be of great interest to students and researchers in the areas of political science, international relations and humanitarianism. It is also a valuable resource for humanitarian aid workers.